Planning Minister John Day at today's launch of the fourth tower. Photo Attila Cszasar. 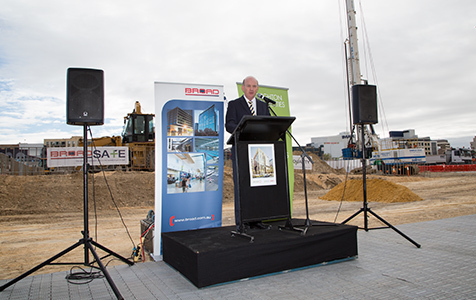 Construction of health insurance provider HBF’s new home has begun, with Planning Minister John Day on hand to launch the fourth office tower at the Kings Square precinct.